The right peripheral devices can make or break your entire PC experience, and today you can grab some awesome ones for super cheap. Amazon has a whole lineup of accessories available for half off or better today, from keyboards to headphones and everything in between. First up is the MK545 Advanced Wireless Keyboard combo for $30, half off its $60 list priceRemove non-product link. 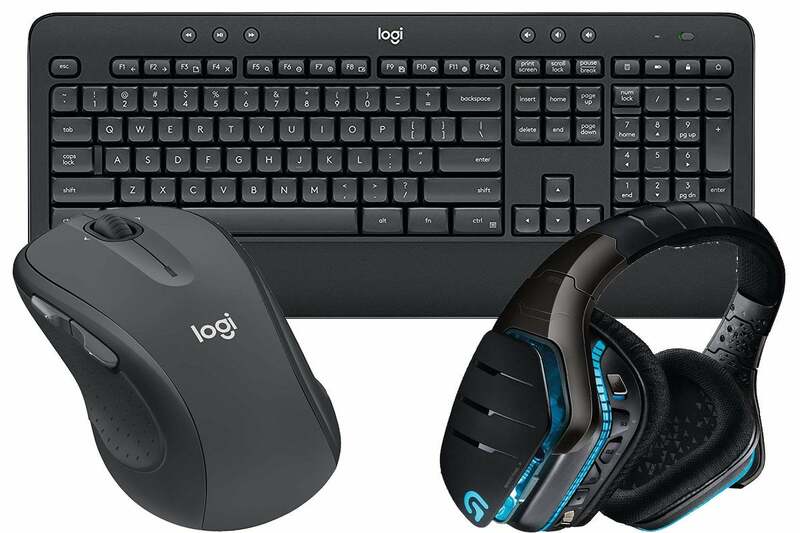 This is the Amazon exclusive version of Logitech's awesome MK540—which we gave 4.5 stars out of 5 for its comfortable design and programmable and quiet keys—and comes with a few enhancements over the standard model, namely a textured palm rest and longer mouse battery life (24 month versus 18 months). Moving on, the G933 Artemis Spectrum headphones are $100Remove non-product link, half off a list price of $200. These headphones are built for gaming, with an attractive (but large) design and solid mic system. We gave them 4.5 stars out of 5 for their user-friendly button configuration, excellent sound quality, and mic design. The cheapest item on today's deal is the black version of M560 wireless mouse for $14.24Remove non-product link, more than 60 percent off its $40 list price. This Windows-based comfort-sculpted mouse is designed for speedy ease of use, with convenient thumb buttons, a contoured design with soft rubber grips, and a hyper-fast scroll wheel with a free-spinning mode for longer reads. We haven't tried this mouse ourselves, but Amazon users love it, giving it 3.9 stars out of 5 over nearly 900 reviews.